The number of small businesses in Southern Nevada has been on the rise since the recession. Everything from small restaurants to light manufacturing firms have opened since that time, according to experts. According to a report by the SBA, small businesses accounted for nearly 216,000 firms across the state in 2008. Today, that number stands at 229,570, according to SBA statistics. One thing that’s stayed static is that these firms continue to account for the majority amount of employers in the state, nearly 96 percent. Holguin said he has been seeing growth in is high-tech industries involving energy, solar and water purification systems coming to the region. Overall, the growth he’s seen has been a mix of technology and retail ventures. One important factor for new and upcoming firms, large or small, is access to capital. “The majority of businesses, when they come to us, are seeking capital,” said Holguin. And solving that issue has been getting easier, Holguin added. In recent times, banks have lowered this threshold to about $300,000 to $350,000. And some banks are even doing loans as low as $50,000, Holguin explained. Nonprofit lenders, which also do micro-lending, are the more likely source for a smaller type of loan. Some of the lenders include nonprofit Accion. These lenders are also not as stringent as traditional banks, said Holguin. Accessing capital is a big issue for Shaundell Newsome, owner at Sumnu Marketing—Nevada SBA’s 2015 family-owned business of the year award winner. Newsome, a vocal advocate for small business, is heading to Washington D.C. in early May to the Small Business Leadership Summit to discuss issues that small businesses face. At the summit, Newsome will get a chance to interact with key policymakers, senior members of the Obama Administration and issue experts, all of whom are moving to put small businesses perspectives deeper in public policy conversations. 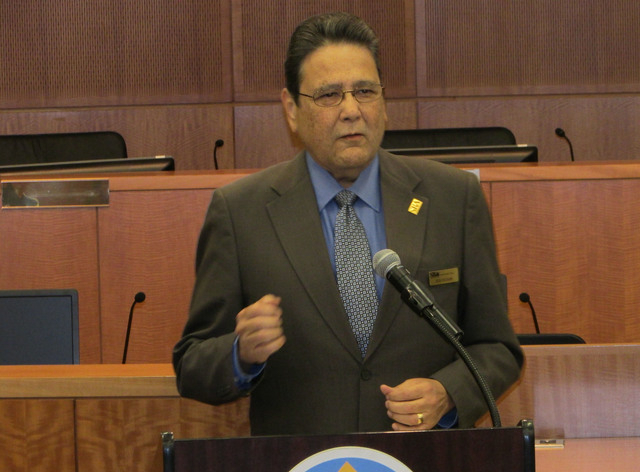 There are some businesses that should put more work in before those at the helm open the doors, or try to get lending, said Holguin. The SBA can help, said Holguin. The SBA has counseling and guidance, along with knowledge on who is the best source for the type of business a potential owner is looking to start. For existing businesses, Holguin said the SBA implemented a new program last year, the Emerging Leaders program. The program takes executives from businesses that have been in operation for more than two years, has more than two employees and makes at least $500,000. These executives come together every two weeks for a seven-month period. “At the end of that process, they end up with a strategic growth plan on how to take their business to the next level—either open another location, increase their sales or hire more people,” said Holguin. The program has been a success, according to Holguin. “In many cases, most of them are accomplishing the tasks that they set out to accomplish,” he said.